While acting as a host for guests, or providing home-cooked meals, may not come naturally for some people, others may find it to be a natural fit, and enjoy catering to the eco-conscious and green traveler community. For eco-entrepreneurs that enjoy working in the hospitality industry and interacting with and providing for both business and vacation travelers, one green business idea that might appeal is starting (or buying) a green bed and breakfast operation. Running a bed and breakfast is not nearly as difficult as running a hotel, at least in terms of volume and logistics, and could be much more fulfilling, considering the personal level of service that takes place at the smaller and more intimate scale of a B&B. 1. What is a green bed and breakfast? A Bed & Breakfast is a quaint alternative to a traditional hotel. Staying at a B&B is a cozier experience for travelers, who receive a peaceful night in a cottage-type setting (usually), and a meal prepared by the owners and/or staff of the B&B in the morning. Many eco-entrepreneurs have found that a green B&B, one in which the house may be LEED certified, energy efficient, and/or full of the sites and sounds of nature, and one in which the breakfast they serve in the morning is organic, local, seasonal and sustainable, is a terrific business for them. 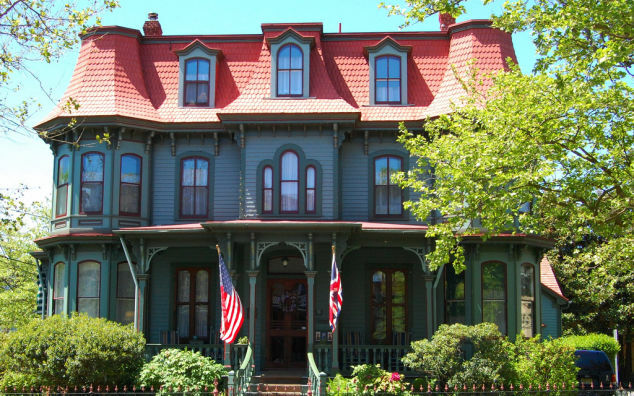 Great examples are the Inn Serendipity in Browntown, Wisconsin, and the Green Mountain B&B in Asheville, NC. You’ll need good people skills, as B&B’s tend to be about the experience, rather than just the physical setting for most travelers. You’ll need to be able to prepare food and provide clean lodgings, as well as inform your guests about local activities and experiences. Many B&Bs have a theme to them, so interior decoration or restoration is a plus for anyone wishing to start or purchase a bed and breakfast. $$$-$$$$ (on a scale of $ to $$$$$) The biggest initial cost for starting a bed and breakfast is purchasing the house and property itself, as well as restoring it or converting it so that it can serve to host a number of guests at the same time. Aside from the rooms, and upgrades or additions to bathrooms, a good-sized kitchen is a plus, as you’ll not only need to be able to prepare larger quantities of food, but also be able to pass the muster of the health department as a commercial kitchen. $$$ (on a scale of $ to $$$$$) The potential income for a bed and breakfast operation is highly variable, but could be quite lucrative in the right location and with a strong referral network. 5. What is the best location for a green B&B? Good locations for B&B’s tend to be located in quaint and rustic tourist areas, as many of your clientele will be older and more interested in culture, history, and tradition. Thus, Cape Cod is a quintessential B&B hotspot, whereas a surf town with few services and little history or culture might not. Do you enjoy parties, gatherings, and other social events? Would you enjoy spending a good deal of time with each of your clients? Are you in a stable financial position, without needing this business to be a real profit machine?